MyYESNetwork.com > Thread > Christmas is Back! Network Forums Sport of Politics Christmas is Back! 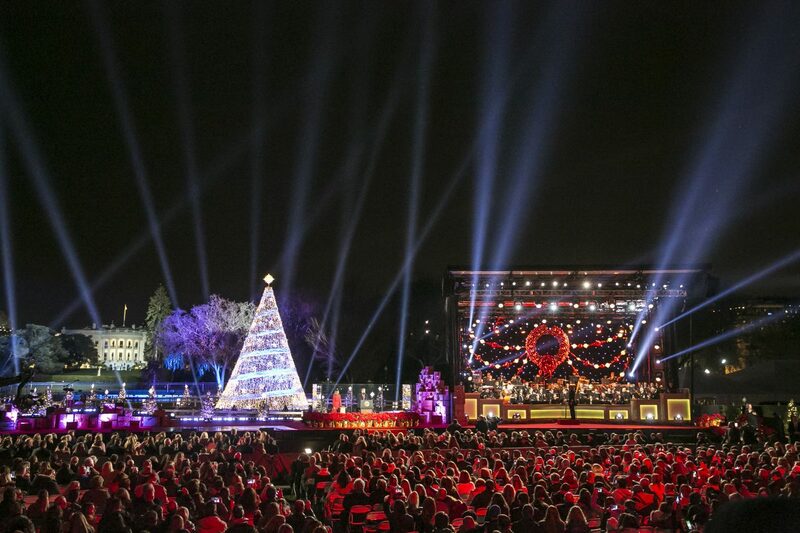 Oh.....BTW....FAKE pics of the Trump Washington CHRISTMAS celebration....it was a great crowd. So stop spreading more FAKE news!! I have the photo showing the crowd CORRECTLY but it will mess the thread up if I post it...too big. 61 makes a good point why the talking point is misguided. There are always a handful of yahoos on the far left and far right that have to complain about something, but that doesn't mean that Christmas ever left or the saying Merry Christmas was outlawed. I wonder how many of the phony religious Cons who are trying to sell the ridiculous and divisive talking point that people couldn't say Merry Christmas know that today is the first day of Advent. My guess would be not many of them since they seem to be occupied with the aforementioned nonsensical talking point direct from the Con Crazy Store. It appears that The Con Crazy Store puts that talking point on sale every Black WHITE Friday. Your picture isn't necessarily evidence of a great crowd either. It was taken at a vantage point that didn't show the empty seats. Max shame on you for bringing race into the first lady issue. One is classy one isn't and it's mainly to do with love of country. As far as Art celebrating Christmas being ok again it was your party that sided with loons who demanded happy holidays instead of merry Christmas ..it was the Obama's who used happy holidays instead of centuries old merry Christmas. It's a joyous time it's ok to say Merry Christmas....celebrate with us!! Where did Max mention anything about race? Your attempt to criticize Obama for his use of Happy Holdays is both misguided and lacking in fact. Oh, and I happen to have a genuine hand signed Reagan "Christmas" card of 1983 in my hot little hands and the word Christmas is not on the card. He used the term "holiday season", likewise did George W. Bush and Eisenhower. Kennedy simply said "Season's Greetings". Nobody gave a rat's @ss about the term Happy Holdays until you con's turned it into an issue. The liberals also have an issue with people saying Merry Christmas. That maybe the case, but its not the point that craner was making. Craner was alleging that Obama was at fault. The issue started around 2005 when Bill O'Reilly started making a fuss about it. Many presidents have refrained from using the term "Merry Christmas" so as not to exclude people of other faiths. The tradition goes back to Coolidge and includes Eisenhower and Reagan and Bush.